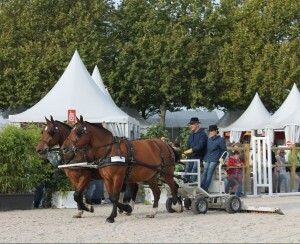 The origins of the Cob Normand are mixed with those of coach horses until the early 20th century. It is during the 19th century, following the importation of “Norfolk” horses from Britain, that was constituted a band of coach broodmares with blood, a strong back, energy and elegance. When motorcars made their appearance at the beginning of the 20th century, this foundation of broodmares was split into trotters and Cob Normand which, after the Second World War, gave the prestigious Selle Français with the infusion of English thoroughbred blood. Breeding of Cob Normand flourished principally in the department of the Manche and the nearby Calvados and Orne departments. 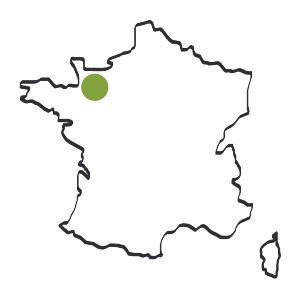 It is also found in the Massif Central and Pays de la Loire. 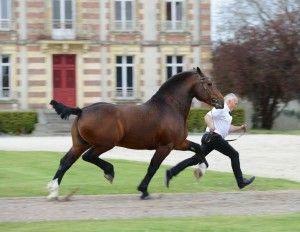 The Cob Normand breed was recognized in 1950. All shades of chestnut and bay, bay black, socks, possible blazes, or other markings on the face. 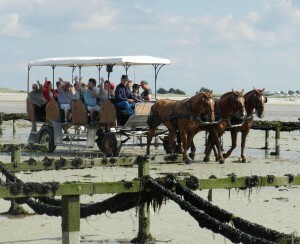 The motorisation of agriculture in the 1960s should have dealt a serious blow to the Cob Normand, but breeders managed not to make the breed heavier and to keep its outstanding pace which is perfectly suited to driving ,without getting into the overly fine bones and excitability that are often held against saddle horses. As a true athlete, this is often the horse of choice for a new generation of riders and fans of driving. 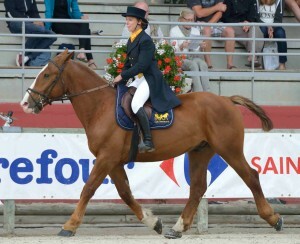 It is sought after and appreciated as a leisure horse but also as a competition horse for official driving competitions.